Hello. We begin a new challenge at Little Red Wagon today. Our hostess is Imke and her theme is SAY IT IN SPEECH BUBBLES. 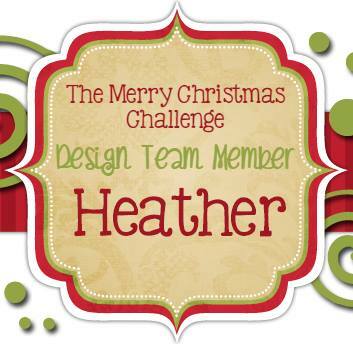 My design team sisters have really been challenging me this year as ideas have definitely not flowed freely for many of the weeks. This is my first time using a Stamp Annie Thing stamp and can I just say I am in love with these cuties. This will not be the last you have seen me use. 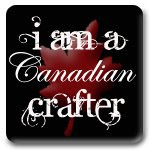 This stamp is called Holly Especially for You. She is coloured up with Copics. Patterned paper and enamel dots are from Simple Stories Enchanted line. 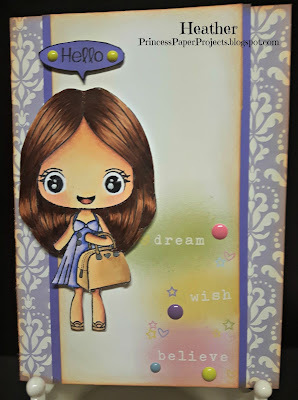 The speech bubble is from a retired line of Your Next Stamp called Darling Divas. Your turn. 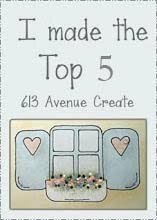 Head on over to Little Red Wagon, check out the inspiration from the other girlfriends and use a speech bubble on a project of your own. Looking forward to seeing them all. Fab card, Heather! I love the soft pretty colours. 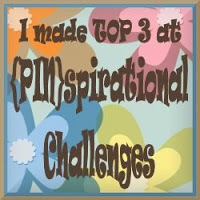 Can't tell you've been challenged by the challenges lately....you're rocking them! Lovely card, Heather and i like the soft colors. Your coloring is awesome ! That little Annie stamp really is a cutie! 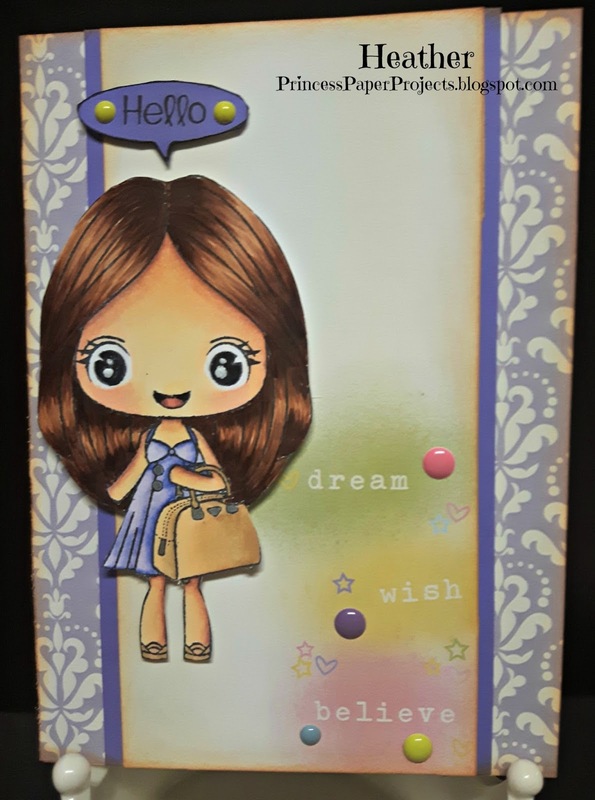 I love the soft background with the "dream, wish, believe" too! Great card! She is so sweet, Heather! I love that you used distress oxides to emphasize the sentiment.